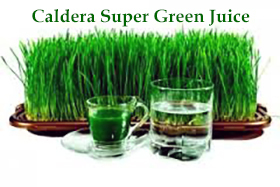 Wheatgrass juice is the nectar of rejuvenation, the plasma of youth, the blood of all life. The elements that are missing in your body's cells - especially enzymes, vitamins, hormones, and nucleic acids can be obtained through this daily green sunlight transfusion. Wheatgrass juice has been proven over many years to benefit people in numerous ways: cleansing the lymph system, building the blood, restoring balance in the body, removing toxic metals from the cells, nourishing the liver and kidneys and restoring vitality. 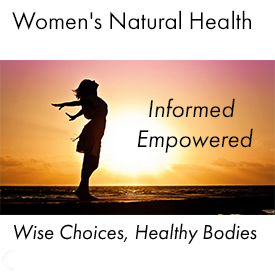 Most people who have explored the wondrously wide avenues of self-healing have heard about wheatgrass, and has been proven over many years to benefit people in numerous ways: cleansing the lymph system, building the blood, restoring balance in the body, removing toxic metals from the cells, nourishing the liver and kidneys and restoring vitality. 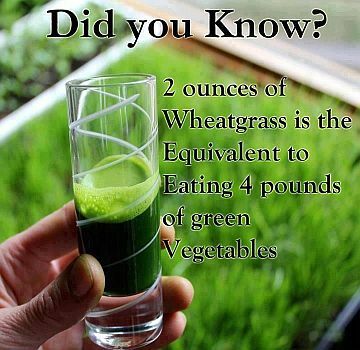 One ounce of wheatgrass juice has the vitamin and mineral equivalent of 2.2 pounds of fresh vegetables. It contains most of the vitamins and minerals needed for human maintenance, including the elusive B12. Many of the benefits of the juice stem from the fact that it is a living food, which is a complete protein with about 30 enzymes and is approximately 70% crude chlorophyll. To be effective the juice has to be drunk immediately after juicing. 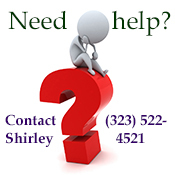 George S. Bailey, Ph.D. - "Chlorophyll, the natural plant pigment that lends its color to grass, leaves, and many of the vegetables we eat, may play an important role in prevention of certain cancers. Researchers in the early 1980s discovered that chlorophylls and related chemicals can inhibit the ability of certain DNA-damaging chemicals to cause mutations in bacteria. How might this kind of "anti-mutagenic" activity be important in cancer prevention? Molecular geneticists now know that most if not all human cancers carry mutations in one or more genes that control the rates at which individual cells divide, differentiate, or die. According to current thinking, various combinations of mutations that upset this delicate balance to favor uncontrolled cell growth can then enable this irreversibly damaged cell to form a primary cancer in the lung, liver, blood, bone, skin, or another body organ. Therefore, it seems at least theoretically possible that the anti-mutagenic power of the chlorophylls might allow them to inhibit or reduce the formation of cancers in humans. Recent progress in our laboratory and elsewhere has brought this promise closer to realization." 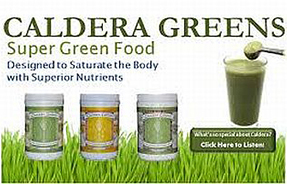 Caldera Greens are 100% pure certified organically grown wheatgrass and barley grass grown in Hawaii on caldera soil extremely rich in minerals and fulvic acid. "Why take these young grasses? Because you'll be giving yourself a health elixir unlike anything you've ever experienced! The effect these highly nutritious green drinks are having on all my patients, especially my arthritis patients, is nothing short of amazing." - Julian Whitaker, MD. Tests have been made which point to a chlorophyll (wheatgrass) rich diet affecting the survival of experimental animals after lethal doses of radiation. In 1950, Lourau and Lartigue reported that cabbage supplement (chlorophyll) increases the resistance of guinea pigs to radiation. Protection Against Radiation Fallout (Radioiodine) A person exposed to "fallout" can suffer from a myriad list of ailments, among them thyroid cancer. Thyroid cancer, due to radiation poisoning, is caused by the uptake (through inhalation or ingestion) of radioiodine (a radioactive isotope of iodine). If a nuclear emergency should occur, be it from a reactor or attack, the preferred way to block the uptake of radioiodine is by making certain that the gland is already saturated with iodine. Learn how to protect your thyroid with KI supplement. Chlorophyll (wheatgrass) rebuilds the bloodstream. 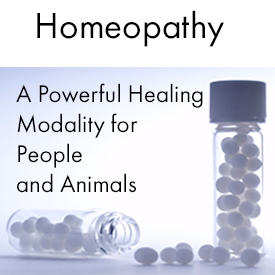 Studies of various animals have shown chlorophyll to be free of any toxic reaction. The red cell count was returned to normal within 4 to 5 days of the administration of chlorophyll, even in those animals which were known to be extremely anemic or low in red cell count. Wheatgrass has what is called the grass-juice factor, which has been shown to keep herbivorous animals alive indefinitely. In the American Journal of Surgery (1940), Benjamin Gruskin, M.D. recommends chlorophyll for its antiseptic benefits. 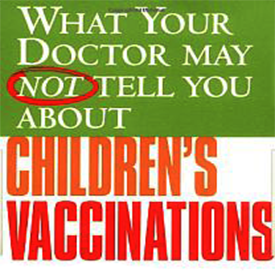 The article suggests the following clinical uses for chlorophyll: to clear up foul smelling odors, neutralize strep infections, heal wounds, hasten skingrafting, cure chronic sinusitis, overcome chronic inner-ear inflammation and infection, reduce varicose veins and heal leg ulcers, eliminate impetigo and other scabby eruptions, heal rectal sores, successfully treat inflammation of the uterine cervix, get rid of parasitic vaginal infections, reduce typhoid fever, and cure advanced pyorrhea in many cases. How much wheatgrass juice do I start with? Start with one ounce a day with a small amount of water. As you become accustomed, stop the water and work up to 6 ounces of wheatgrass juice a day. Your energy level will be very high. Wheatgrass juice should be mixed thoroughly with your saliva before swallowing. Drink slowly one hour before meals. Wheatgrass juice is a powerful cleanser and may cause nausea, through starting an immediate reaction with toxins and mucus in the stomach. Toxicity studies have shown that chlorophyll is absolutely non-toxic when administered orally or intravenously to animals and humans. The juice should be extracted either by chewing or utilizing a slow action machine. Some manual juice extractors are very good for the purpose. Grasses can be grown year round in any apartment or house, city or country. While it may be alarming to see Fido or Fluffy nibbling on the front lawn or a houseplant, it shouldn’t be a cause for concern unless the grass or plant was recently treated with pesticide, fertilizer, or another poisonous chemical. 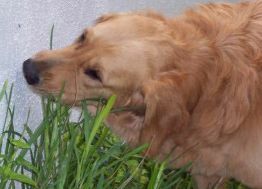 Both dogs and cats from time to time may take an interest in grass or similar substances, each for different purposes that can actually benefit their bodies. Dogs tend to self-medicate their bodies and regulate behavior through occasional ingestion of plants, as the diets they often receive in captivity are vastly different than what they would eat in the wild. Dogs are not simply carnivorous, and can be often seen hunting for roots and fruits. Since dogs evolved from wolves, in the wild, wolves and dogs may eat an herbivore prey that they have killed, and often first go for the stomach area of the carcass where they will find roots, leaves and berries. In domestication, a dog’s diet often consists of commercial dog food, which contains synthetic preservatives, coloring and fillers. Constant intake of such substances often leads to dog aggression, when the dog’s discomfort exceeds tolerance levels. Over time, this grain-based, high-carbohydrate diet can lead to digestive upset and even diabetes. Again considering the evolutionary perspective, wild dogs consume only minimal quantity of grains, in the shape of already-digested paste and juices in the intestines of a seed-eating prey. However, even though grass ingestion appears to have some redeeming qualities for an dog, it can sometimes lead to vomiting. Some veterinary experts suspect that ingestion could have been a catalyst for self-induced vomiting to relieve stomach upset. Whether or not it was intentional, it may have detoxifying properties for this very purpose. Cats often ingest plants and grass for this very same reason—mainly to assist common bodily functions. Cats are avid groomers and seem to spend hours preening and licking themselves. Unfortunately, this usually means that they end up swallowing a lot of lose fur, which accumulates in their stomach to form matted lumps called furballs. 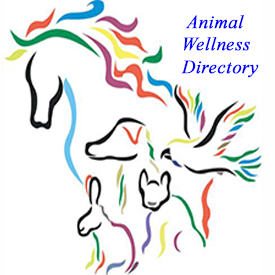 While furballs are usually vomited or emitted in feces as part of the body’s natural elimination process, a weak digestive system, modern diet, sedentary lifestyles, or inadequate nutrition can interfere with this process. To help stimulate this elimination, cats may use grass as a laxative or to self-induce furballs, as it acts a roughage to promote bowel movement or regurgitation. This not only helps promote overall health as bodily functioning is restored, but also relieves the discomfort associated with the blockage. It may also be possible that the dog or cat just likes the taste! However, it is important to discourage ingestion of grass or plants directly after a meal, as unintentional regurgitation of dinner may result. "Staff members of the Institute who lived with cats reported their animals had less illness once they provided wheat grass regularly. They noted that fur was more beautiful, and life spans longer. Formerly arthritic older cats who could barely get in and out of the litter box, were jumping on top of high surfaces. Immune systems in all the cats grew strong and common sicknesses much more easily resisted. Sores and strange lumps would disappear. 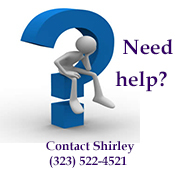 Chronic conditions such as upper respiratory problems would clear away for good. Keen observers commented that cat's personalities and behavior changed. The cats became calmer, and more "jungle cat-like" in their gait and mannerisms. 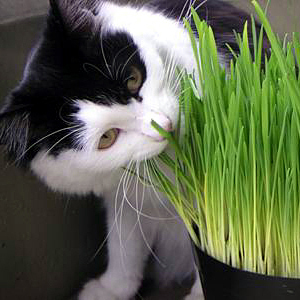 Making sprouts and growing wheat grass for your own cats is quick and easy! Living foods will beautifully compliment a cat's raw meat diet creating the perfect meal. 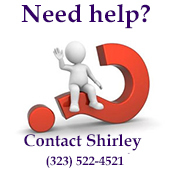 Many different seeds and nuts may be sprouted and added to your cat's food." 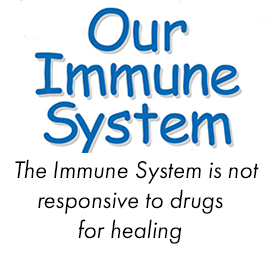 If you have not already gotten a copy, please check out Dr. Jensen's book, Foods that Heal. It efficiently presents in layman's terms how to heal using food and juice combinations based on the chemical elements contained therein. 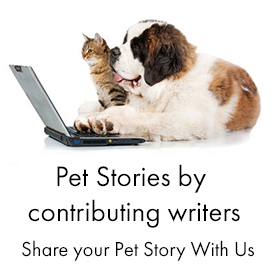 Of course, in pets, you just have to give very small portions (literally, 1/2-teaspoon amounts) to see results. And because the right combination of juices will taste good to them, animals willingly take the juice mixed into their foods -- resulting in less stress on both owner and pet. So now my cats get vegetable-only juice and the dogs get the pulp -- so there's no waste -- all are getting healthy, and I'm saving $$$ on vet bills." "...once they provided the cats with wheat grass regularly, formerly arthritic older cats who could barely get in and out of the litter box, were jumping on top of high surfaces. Immune systems in all the cats grew strong and common sicknesses much more easily resisted. Sores and strange lumps would disappear. 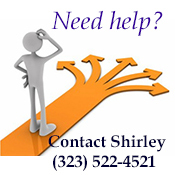 Chronic conditions such as upper respiratory problems would clear away for good. 1). I soak about 3-4 cups of hard winter wheatgrass seeds (preferably organically grown) for 3 to 8 hours in water. I add a couple of drops of organic vinegar to acidify the water which keeps fungus or mold from forming. Sprouters believe that all the nutrient is in the seed. For the first 4-5 days young plants can grow in anything because they are getting their nutrients from the seed. They can grow in anything, even shredded paper. After 4-5 days the plants have developed roots which begin seeking the soil for nutrients to continue to grow into healthy plants. 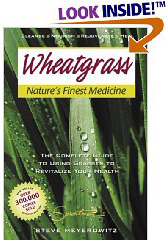 Wheatgrass minerals, grow 2-5 days without the needed additional nutrients. I add one tablespoon of Sole per gallon of water, or one teaspoon of fulvic minerals or marine phytoplankton, rich with over 70 naturally occurring organic trace minerals and elements. Organic fulvic acids are created by micro-organisms in the soil, for the purpose of transporting minerals and nutrients from the soil into a plant. Wheatgrass grown with fulvic acid burst with health and nutrients which benefit us. 3. I Line up a nursery growing tray with a sheet of paper and spread 1/4 to 1/2 inch of potting soil. 4. As soon as the seeds begin to sprout in the colander, they are ready to be moved to the growing tray. I spread the seeds in the growing tray over a 1/2 inch of potting soil. There is no need for fertilizer. I do not cover the seeds with soil. I place the tray on a plastic sheet in front of a window. 5. I place a second empty tray on top of the seed tray upside down (like a roof) and I cover the top tray with a wet towel. This will protect the seeds and sprouts from drying out. I make sure that the towel is kept wet or moist all the time. 6. As soon as the grass is tall enough to hit the roof of the top tray, I remove that top tray and towel. 7. During the first 2 or 3 days, the tray needs watering everyday, but not too much or the roots will rot. Wheatgrass can grow year-round but it doesn't grow well in the hot summer. It grows best in cooler weather. During summer, I keep my wheatgrass trays in the shade with good ventilation to prevent overheating and to prevent mold or fungus. The Organic Barley Grass Growing Kit is the complete organic and simple set up! 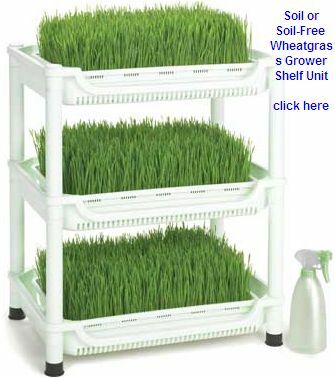 Each kit starts you out with enough organic barley seed, organic soil, organic minerals, and growing trays to grow five trays of Barley Grass- yielding at least 60 ounces of barley juice (1 month supply at 2 ounces a day). Each Barley Grass kit comes with simple easy to follow growing and harvesting instructions. The growing instructions teach you to grow barley grass in the most nutritious and simple way possible! To insure the highest possible mineral content and barley grass yield, we have included an organic forest compost mixture and Azomite, an organic all natural mineral that insures that your barley grass contains all of the trace minerals required by the human body for maximum health. Each Kit Includes: 5 21''x10'' Growing Trays.These durable black growing trays can be reused over and over again. Drain holes and easy portable size make these trays perfect for growing grass even in your own kitchen. Each tray of barley grass will yield 12 to 14 ounces of juice.5 Measured bags (5 lbs) Certified Organic Barley Grass Seed 2 8-Quart Bags of Organic Soil Mix Forest Based Compost, Completely Animal Free !Enough soil to grow 5-6 flats of wheatgrass, barley grass or sunflower greens. This mixture is created using organic compost, and peat moss. This mix will allow you to increase your growing yield as well as increase the nutrition of your grass. Compost your spent soil flat and use it over and over. Azomite has 67 major and trace elements, so its name means "A to Z Of Minerals Including Trace Elements." Typical analysis shows every element that's beneficial to plants and animals, and other elements (micro-nutrients) scientists believe essential. Barley Grass Growing and Juicing Instructions Free growing technical support. The solid content of juice made from wheatgrass is 70 percent chlorophyll. Chlorophyll is often referred to as "the blood of plant life" and has almost the same chemical structure as haemoglobin (oxygen transport molecules in red cells in human blood), according to studies done in 1911. The difference between the two is that in human blood the metallic element of the haemoglobin is iron, while in chlorophyll this atom is magnesium. Chlorophyll goes into the red blood cells immediately. The red cell count was returned to normal within 4 to 5 days of the administration of chlorophyll in animals which were known to be extremely anaemic. Chlorophyll was praised in the 1940 American Journal of Surgery by Benjamin Gruskin, M.D. for its antiseptic benefits. The article recommends the following clinical uses for Chlorophyll - to clear up foul-smelling odours, neutralise infections, heal wounds, hasten skin grafting, cure chronic sinusitis, overcome chronic inner ear inflammation and infection, reduce varicose veins and heal leg ulcers, eliminate impetigo and other scabby eruptions, heal rectal sores, successfully treat inflammation of the uterine cervix, get rid of parasitic vaginal infections, reduce typhoid fever, and cure advanced pyorrhoea in many cases. Nutritionist Bernard Jensen lauds the virtues of Chloryphyll because of the magnetic and electrical quality of the raw enzymes it contains. According to Dr. Earp-Thomas, 15 pounds of fresh wheatgrass is equivalent in nutritional value to 350 pounds of the choicest vegetables. Dr.Birscher, a research scientist, called chlorophyll "concentrated sun power." He says chlorophyll increases function of the heart, affects the vascular system, the uterus, the intestine and the lungs. 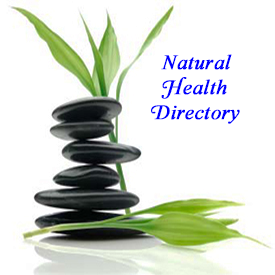 According to Dr. Birscher, nature uses chlorophyll as a body cleanser, rebuilder and neutralizer of toxins. Wheat grass juice can dissolve scars that are formed in the lungs from breathing acid gasses. The effects of carbon monoxide is minimized since chlorophyll increases hemoglobin production. Wheat grass juice helps to reduce high blood pressure as the juice helps to reduce toxins from the body and gives the blood iron which helps circulation. It purifies the blood. A small amount of wheatgrass in the human diet helps prevent tooth decay. 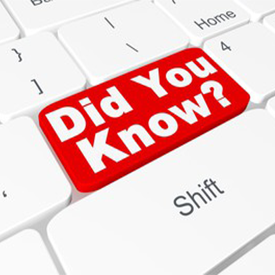 Tooth decay is the result of other degenerative changes in the body. Gargle with wheatgrass juice for toothaches. Gargle with wheatgrass juice for a sore throat. "Taking wheatgrass juice we will feel the difference in our sense of strength, health, spirituality, endurance and wellbeing. Research scientist Dr Birscher called chloryphyll "concentrated sun power. Chloryphyll increases the function of the heart, affects the vascular system, the intestines, the uterus and the lungs"
Caldera Greens, are a premium source of organically grown,alkaline-forming, enzymatically-alive, super foods which help promote proper pH balance and proper immune function. Wheatgrass has broad effectiveness, but its three most therapeutic roles are: blood purification, liver detoxification, and colon cleansing. As a food it is very nourishing and restorative with such a complete range nutrients that it can, by itself, sustain life. Wheatgrass earned its reputation from people with terminal illnesses who took it at the eleventh hour of their lives, after conventional medicine left them with no hope. But you can take it as part of a long range prevention and health maintenance program. 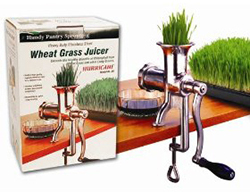 Some people who try grass juice find that they just cannot tolerate wheatgrass juice. It is extremely detoxifying and makes some people nauseous every time they drink it. These people may find that they can tolerate barley grass juice. It is milder, although quite bitter, compared to the sweetness of wheatgrass juice." 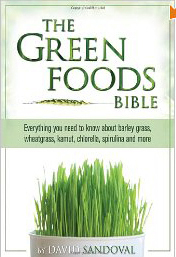 Barley grass is one of the green grasses. The young barley leaves have a tremendous ability to absorb nutrients from the soil. When barley leaves are 12-14 inches high, they contain all the vitamins, minerals, and proteins necessary for the human diet, plus chlorophyll. Barley contains a multitude of vitamins and minerals. Its juice is seven times richer in Vitamin C than an equivalent weight of oranges, five times richer in iron than spinach, ten times richer in calcium than milk, is a significant source of Vitamin B-12, and contains 15 times as much protein as an equivalent amount of milk. A research pharmacologist from Japan, Dr. Yoshihide Hagiwara, M.D believes that the key to the nutritive value of this supplement is not just the nutrient content of the concentrated extract, but its biochemical form which promotes more effective assimilation. What really sets this powdered barley juice apart from other food supplements, he says, are the thousands of live enzymes. The anti-aging enzyme superoxide dismutase (SOD) is one of these. SOD aids in digestion and metabolism by helping to disperse vitamins and minerals into the blood stream to be absorbed by the body. Dr. Richard Cutler, a biophysicist at the National Institute of Aging has shown that the life span of many mammalian species, including man were found to be directly proportional to the amount or SOD contained in the cells. The animals with the longest life spans and man were found to have the highest levels of SOD. SOD acts as a cellular anti-oxidant, protecting against radiation and chemical free-radicals from pollution, as well as acting as an anti-inflammatory agent and preventing cellular damage following heart attacks. Dr. Hagiwara and Biologist Dr. Jasuo Hotta, a specialist of gene engineering at the University of California at La Jolla, found that when powdered barley juice was added to damaged cells, the DNA within the cells repaired itself twice as quickly as DNA in cells receiving none. Current theories are that both cancer and aging result when genes fail to repair themselves. 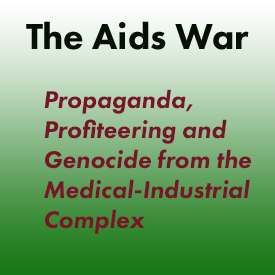 Moreover, when the barley juice supplement was added to cells before they were subjected to radiation and a carcinogen, Hotta says the repair rate was easily three times as fast as normal." Thus, Dr.Hagiwara claims, the findings may eventually help to prevent cancer, aging, or both. Experiments showing the ability of powdered barley juice to repair damaged cells, neutralize the effects of carcinogens and radiation, and retard the aging process have all been done on laboratory cell cultures and animals. While many people report improvement in a wide variety of physical problems, no controlled tests have been done on humans. 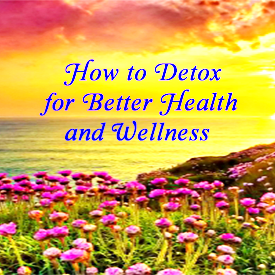 The improvements noticed are the effects o[ detoxifying the body and providing the proper nutritional elements in a form readily absorbed by the body. "Many people when they hear about the living foods program of recapturing health and regenerating the body instinctively know that it is true. I had had chronic fatigue for many years and had tried almost every herb, vitamin, and healing modality available in health food stores. Later, I attended the Ann Wigmore Institute in Boston and then began growing wheatgrass commercially for juice bars and health food stores. At first, I didn’t radically alter my diet – the main thing I did was faithfully drink the wheatgrass juice every day. 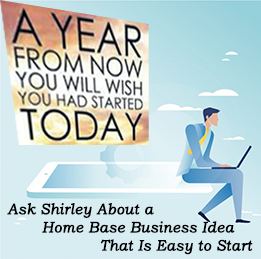 I noticed a great increase in energy, enough to allow me to operate my business, which involved working ten to twelve hours per day." Recently research has unveiled a wealth of other possible benefits of green barley leaves. Extracted compounds have found to have hypercholesteromic, anti-inflammatory, and anti-ulcer properties. A new antioxidant, 2"-0-GIV, has been isolated and reported to have antioxidant activity equal to or superior to vitamin E. Finally, studies have shown that when green barley juice is added to injured cells, the cells' DNA repairs itself rapidly. This may contribute to preventing the changes that often lead to cancer, rapid aging, and cell death. Dr. Donna Schwontkowski- "Alfalfa has been used for centuries by people world-wide for overall support and rejuvenation. Because of its deep root system, alfalfa is a rich source of the minerals calcium, magnesium, phosphorous, iron, potassium and trace minerals. Specifically, it is one of the best sources of protein and is very high in chlorophyll, carotene, the Vitamins A, D, E, B-6 and K, and several digestive enzymes. This may be why it is said to help reconstitute bone and when fresh, is beneficial for rickets. Alfalfa is one of the most studied plants. Research suggests that it may inactivate dietary chemical carcinogens in the liver and small intestine before they have a chance to do the body any harm. It is commonly used for bladder infections. Used on the skin or in the bath, Alfalfa is good for fatigue and muscle tenderness. 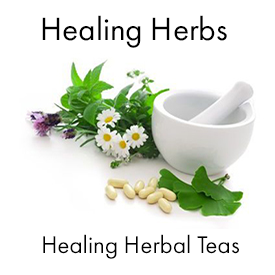 It is also used to reduce pain and inflammation of rheumatism and arthritis. Alfalfa is used as an appetite stimulant, vitality augmenter (tonic), a digestive stimulant, for insomnia, and to relax the nervous system." What are phytochemicals? In the Greek language, the word 'phyto' means plant. Phytochemicals are, by definition, any biologically active compound derived from plants. They function as the plant's immune system, defending against exposure to diseases and viruses; determine plant color and taste; and aid the many biological tasks plant organisms must carry out to survive. Thousands of phytochemicals are found in plants, and humans have only recently begun to study the molecular structure of these valuable food compounds. 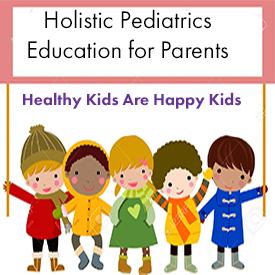 Examples of phytochemicals are carotenoids, flavonoids, plant sterols, polyphenols, lignans, sulfides, curcumins, saponins, coumarins, terpenoids, phthalides, and many more. On-going research continues to provide new insights into what they are and how they aid in the preservation of human health. 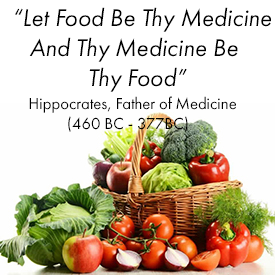 According to Dr. Bruce West, Phytonutrients are the "raw material" nature provides for your body to cure itself. Derived from living things, primarily plants (phyto is Greek for plant), phytonutrients are a combination of naturally occurring phytochemicals, vitamins, minerals, trace elements, and enzymes. Also known as Super Green Foods or Green Super Foods. PhytoNutrients provide the synergistic combination of all of natures raw materials for healing the body - not just isolated and artificially created products. Why do we need 'greens'? Greens are our most important foods because they provide us with all of the essential components of health. 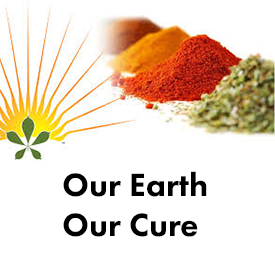 They are our foods, as well as our medicines. Where green plants cannot grow, we cannot live. 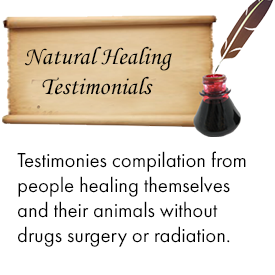 "Many people when they hear about the living foods program of recapturing health and regenerating the body instinctively know that it is true. When I first heard about Ann Wigmore and wheatgrass juice, I became enthusiastic about it, bought an electric wheatgrass juicer and began first purchasing and then growing my own wheatgrass. I had had chronic fatigue for many years and had tried almost every herb, vitamin, and healing modality available in health food stores. Later, I attended the Ann Wigmore Institute in Boston and then began growing wheatgrass commercially for juice bars and health food stores. 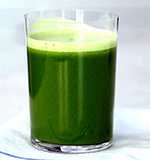 At first, I didn’t radically alter my diet – the main thing I did was faithfully drink the wheatgrass juice every day. 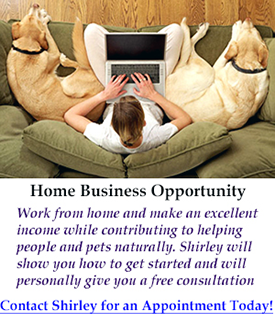 I noticed a great increase in energy, enough to allow me to operate umy business, which involved working ten to twelve hours per day. During the years of being in business, I noticed the reactions of people when they started on wheatgrass juice. Some who started wheatgrass juice daily, didn’t change their diets and found the juice so detoxifying that they were unable to continue taking it for very long. The reaction they got was an aversion to the juice—enough to make them nauseous. (The solution to this is to 1) change the diet, and /or 2) cut back on the amount taken each day or 3) drink barley grass juice instead. 4)Also there is a possibility that mold on the grass causes the nausea. This can be alleviated by cutting the grass and power rinsing before juicing."